The Seiko Sumo and Turtle models from the Prospex range are both stylish looking dive watches that are very hard to pick between. Sure, there are some obvious differences in size, style and shape that you can clearly see from the images above. However, in my opinion, the devil is in the detail. So, in this comparison review I am going to dive deep (got to love a good pun) and see what exactly the difference between the two models are, apart from the catchy names! 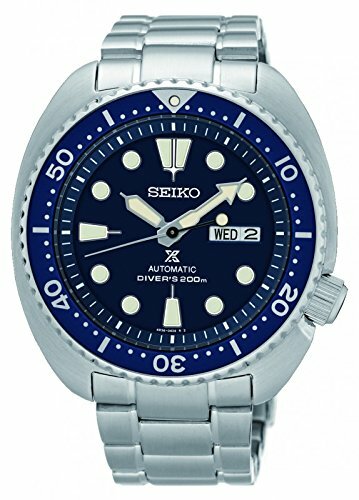 Below is a technical side by side comparison of the Seiko Sumo and Turtle, so you can quickly and easily see the main differences. Although very similar, these two watches have a few differences worth noting. First, the hands on the Sumo are thicker and more stylish in my opinion. They have a taper as they head towards their point. The Turtle’s hands are pointier, with the minute hand an arrow shape, and the hour hand stubby with a strange point on the end. The second hands are also quite different with the Sumo having one that is in mine with the other hands, and is lumed, while the Turtle has a simple, thing hand with a black tail. Somehow, it does not quite match the rest. The hour markers on both watches are typical dive watch style circles and rhomboids, however it is the split at 12 o’clock and the points on the Turtle’s rhomboids that stand out. The minute train on the outside ring is also far more subtle on the Sumo, which although nicer to look at, is perhaps not as helpful for a dive watch. However, I am sure most of you will never dive with either of them, right? 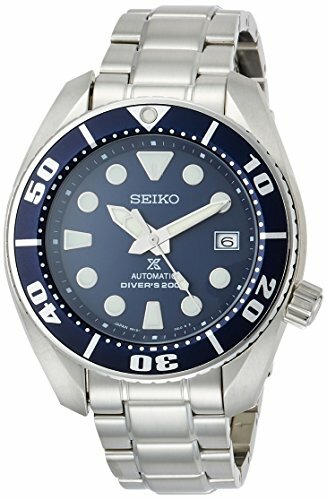 Then there is the clear difference in complications, the Turtle has the addition of the date over the simple day on the Sumo. Both have a matching blue 120 click dive bezel, however the Sumo’s is significantly thicker with weightier arabic numbers. 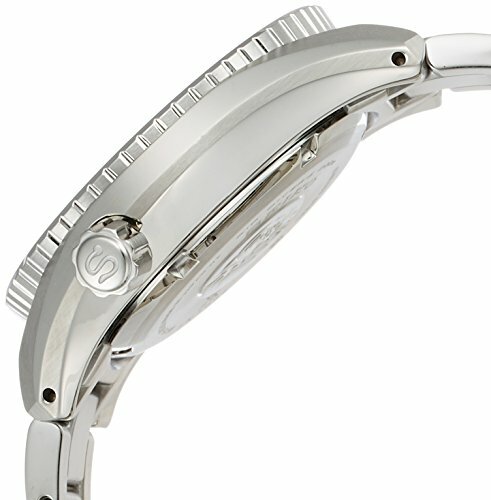 The Grip on the outside of the bezel itself is more subtle on the Sumo, and obviously more pronounced on the Turtle. The Turtle, like it’s brother the Tuna, has a very distinctive shape when it comes to the case. Some love it, others hate it. But it certainly stands out. It is almost like a full circle, cut off only at the lugs, and it makes for a far wider looking watch which may suit some of you wanting a bigger more modern looking watch. The top of the case is also very flat, compared to the tapering you can see on the sides of the Sumo. However, they both share the same brushed stainless steel material. Seiko’s dive watches often see their crowns at 4 o’clock, so it’s perhaps not surprise both watches have this feature too. With the extra width on the case, Seiko have also embedded the crown, giving it some extra protection. Although both are screw-down crowns as you would expect from a 200m spec dive watch. 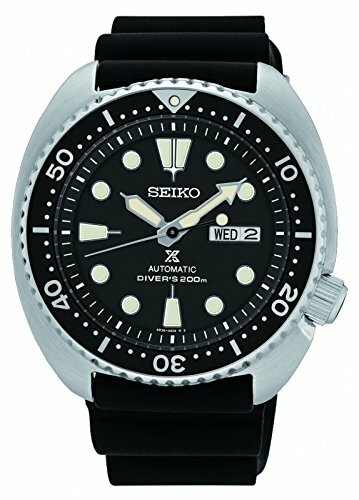 The Sumo has the addition of a Seiko S stamped on the polished crown face and a far more grip-worthy pattern then the Turtle. However, both a quite easy to adjust by all accounts. Not a huge amount to report on the bracelets, as they are both fairly standard Seiko all stainless steel. 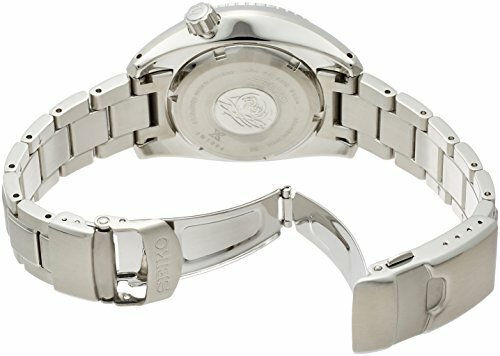 They have a deployant clasp with safety, which is becoming “run of the mill” for dive watches, but useful nonetheless. They both have micro-adjustments which are again something you would expect to help fit the watch well to your wrist. The biggest difference between the two is the 20 vs 22mm strap width, with the Turtle being wider. This also suits the wider looking case, so a great choice if you ask me. The Sumo and the Turtle both have automatic movements with self-winding and hacking. And their resulting case thickness is also almost exactly the same. So, it begs the question, is there anything worth mentioning here? 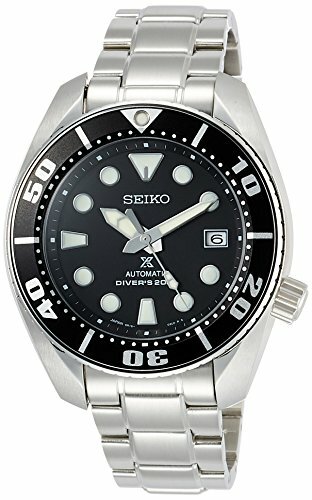 Well, the Sumo has Seiko’s 6R15 with 50 hours of power reserve, while the Turtle has the 4R36 with only 41 hours. So you can safely wait 2 days (or 48 hours) before having to charge the Sumo. And, according to some of the Seiko fans, the 6R15 has some better parts in it which leads to great accuracy. Which overall, also saves you from adjusting it more often. Something you have to live with when you buy an automatic anyway. These two watches are so similar that it’s almost impossible to choose. I would honestly buy both, if I could. The main differences if you ask me are in the shape of the case/dial and the movement (including day vs day/date option). So, it’s either a matter of taste or a preference for the specifics of the movement. In terms of color, I have only compared the two blue ones here, but there is also a black Sumo (image below) and various Turtles available.